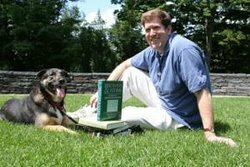 Chad Orzel is a physicist, an associate professor at Union College in Schenectady NY, an author of popular books on physics (How to Teach Physics to Your Dog and How to Teach Relativity to Your Dog), and a blogger over at Science Blogs. You should read the rest of his post; I couldn’t ask for a better recommendation! 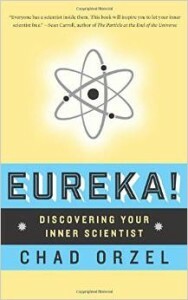 I follow Chad’s blog — it’s a nice mix of crunchy science, academic life, observations on the world in general, books, and family plus Emmy the dog. I run into him fairly often at conventions. I love it when I can get a chance to chat with him and wife, Kate Nepveu. This is a great signal boost from someone I admire — and I am (as the Brits say) chuffed!